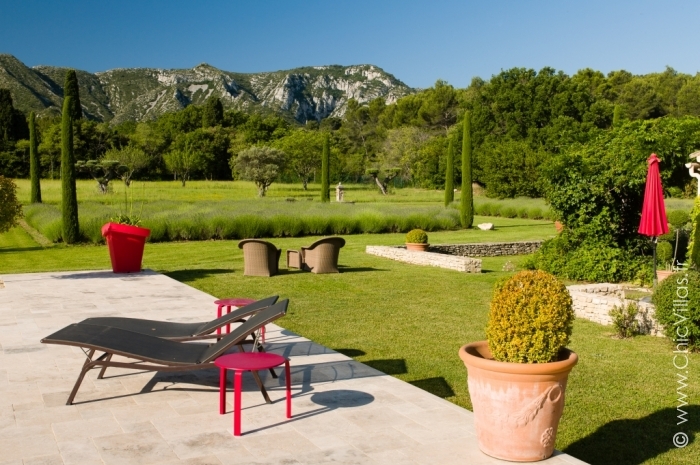 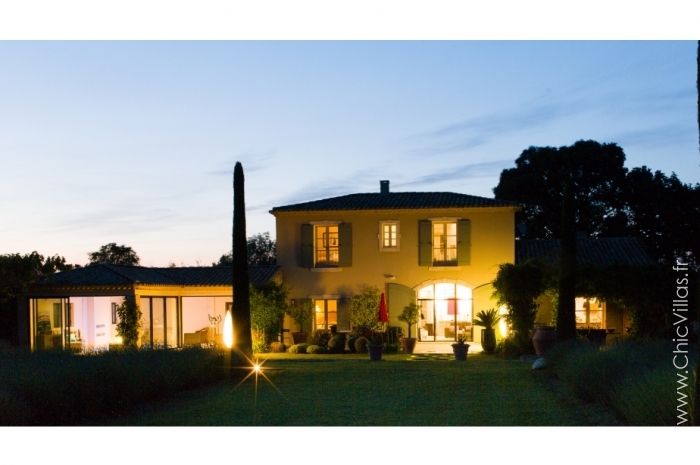 If you’re looking for a luxury villa to rent in Provence, then look no further. 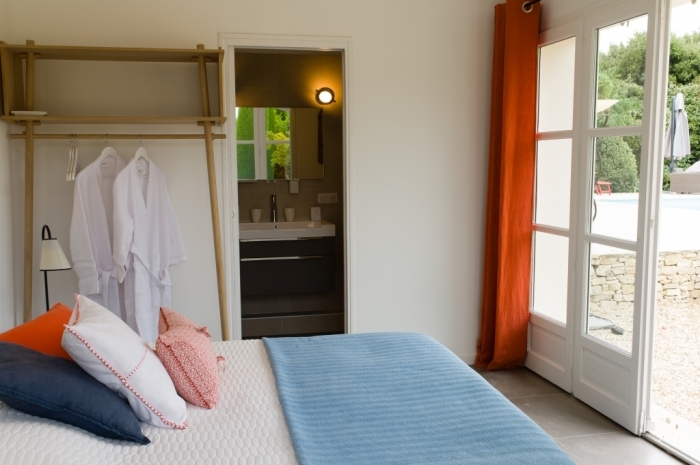 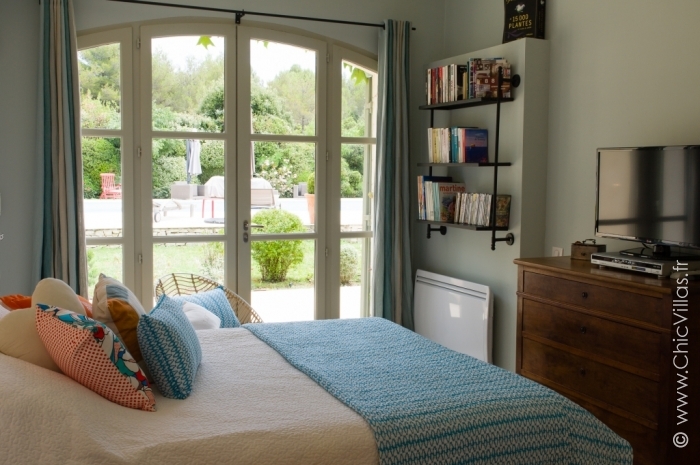 Lumière des Alpilles has everything you could wish for. 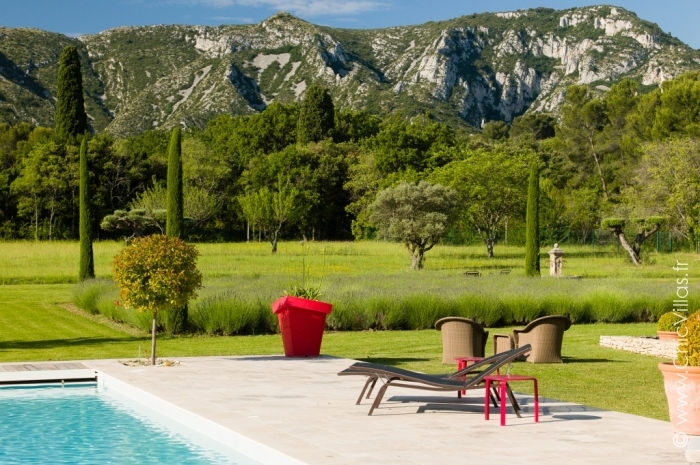 Set in unspoilt surroundings opposite the Alpilles mountain range, this beautiful villa ticks all the boxes. 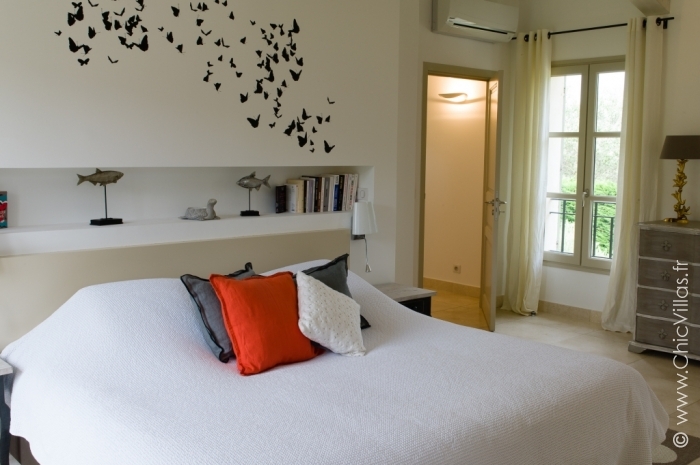 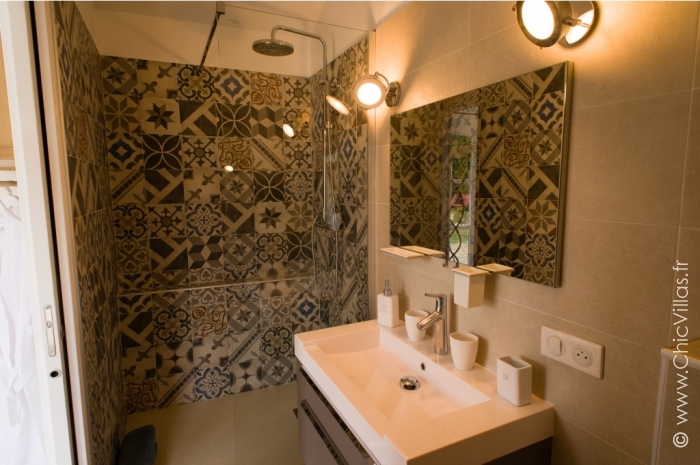 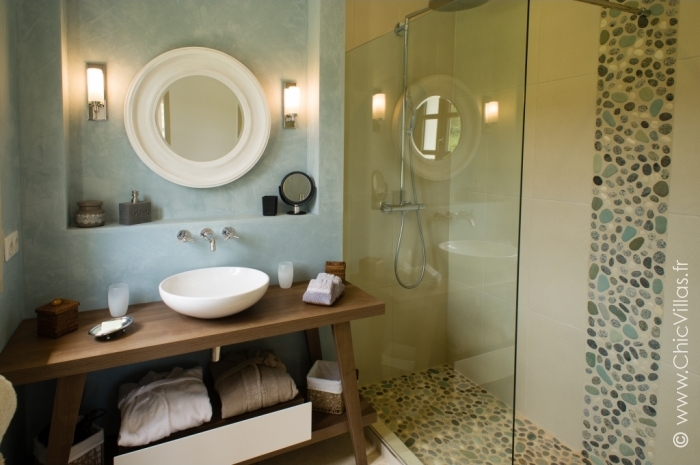 The interior features spacious rooms decorated in a cosy, contemporary style. 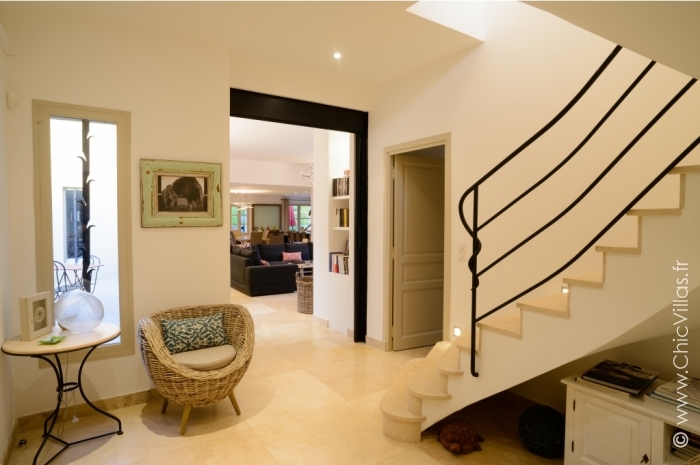 From the moment you cross the threshold, you’ll feel right at home. 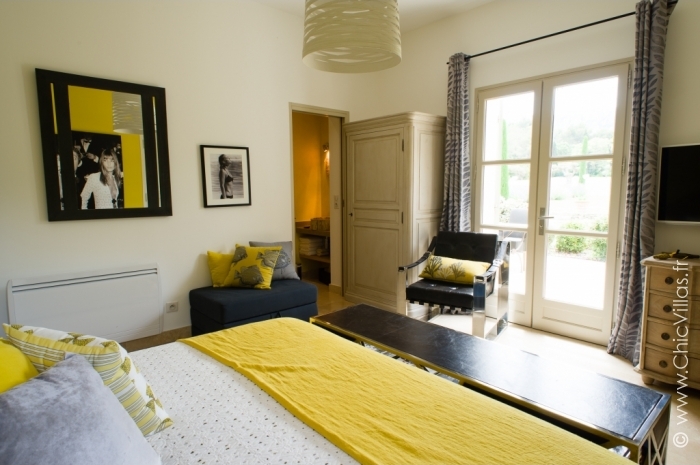 The bedrooms are big and all have an en suite bath or shower room. 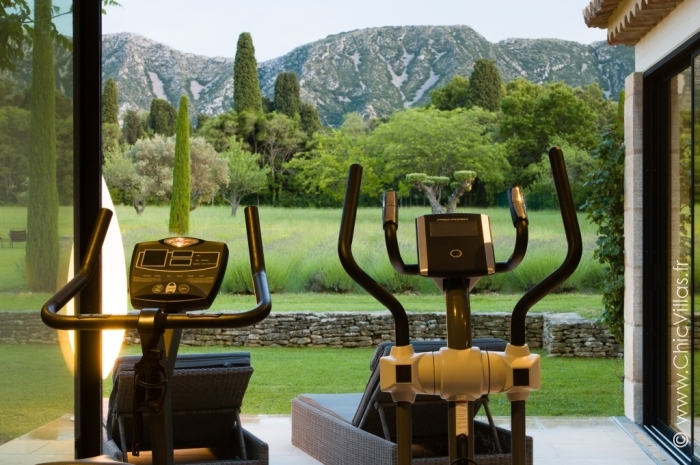 One of the villa’s best features is the indoor gym which not only has beautiful scenic views but also has a hot tub so you can truly switch off and relax. 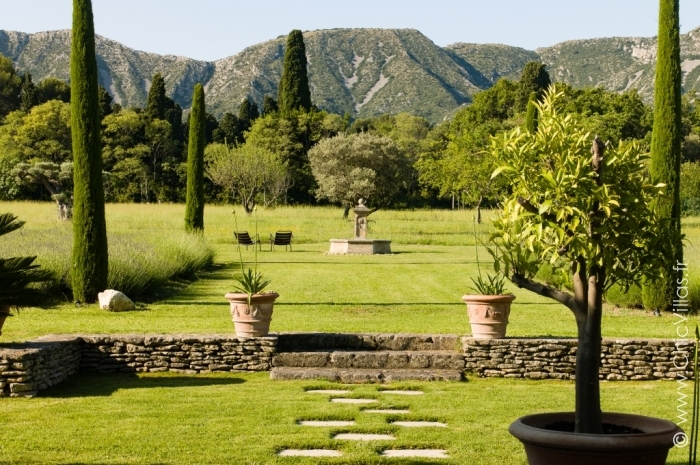 Outdoors, the villa has over one hectare of grounds and a large, heated jet stream swimming pool. 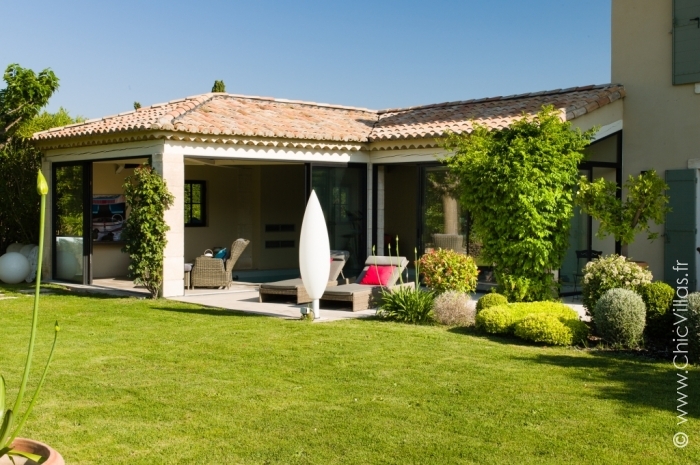 So, if your idea of heaven is a peaceful, relaxing getaway, then this luxury villa is for you. 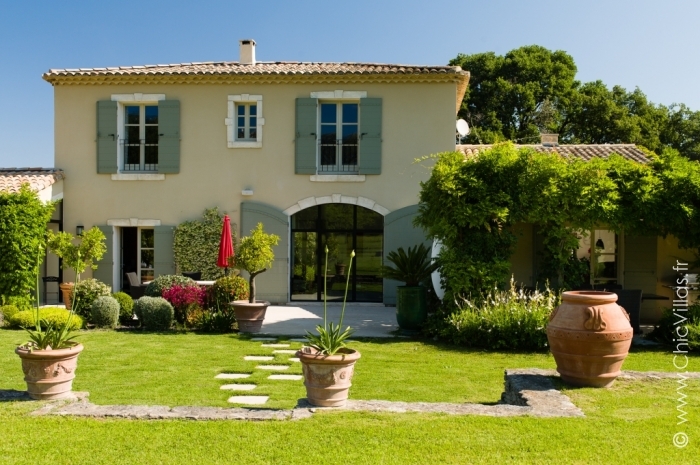 This property is perfectly located. 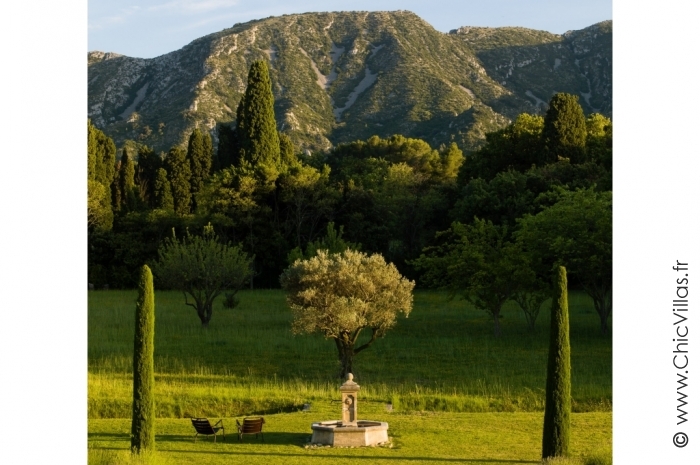 Right in the heart of the Alpilles mountain range, it’s an ideal base for visiting the picturesque local villages, such as Saint-Rémy-de-Provence, Eygalières, and Les Baux-de-Provence. 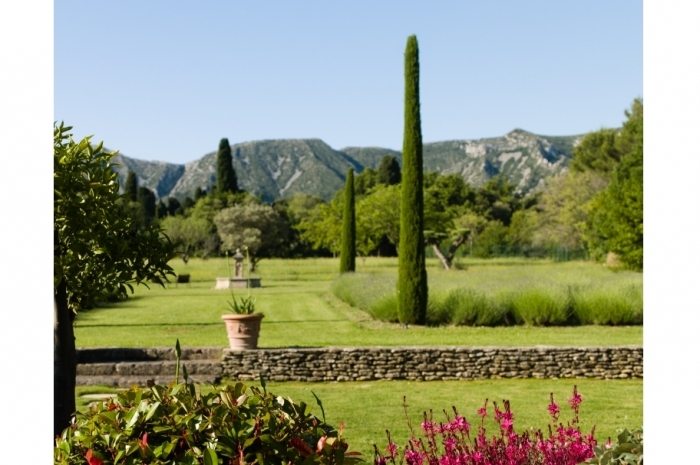 Arles, Avignon and the Camargue are also within easy reach. 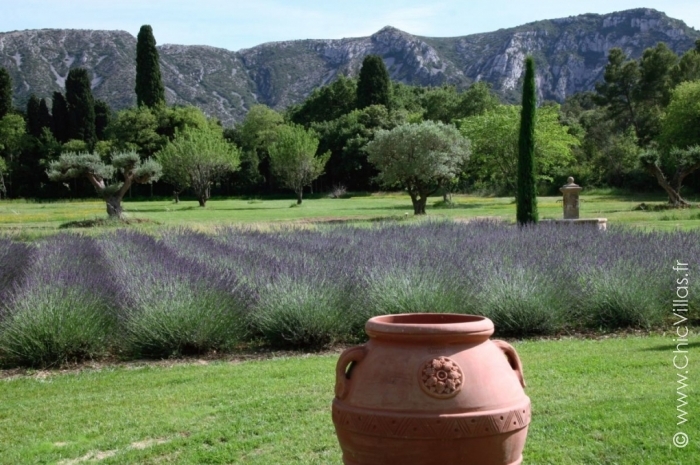 Provence is on the doorstep. 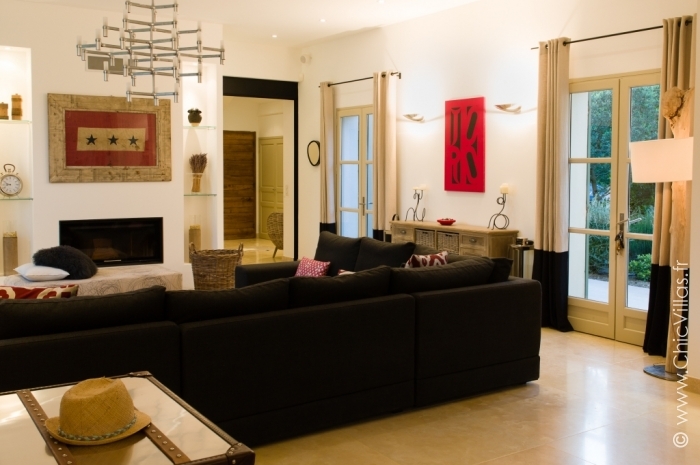 This villa can comfortably accommodate 1 to 2 families with children or 4 couples. 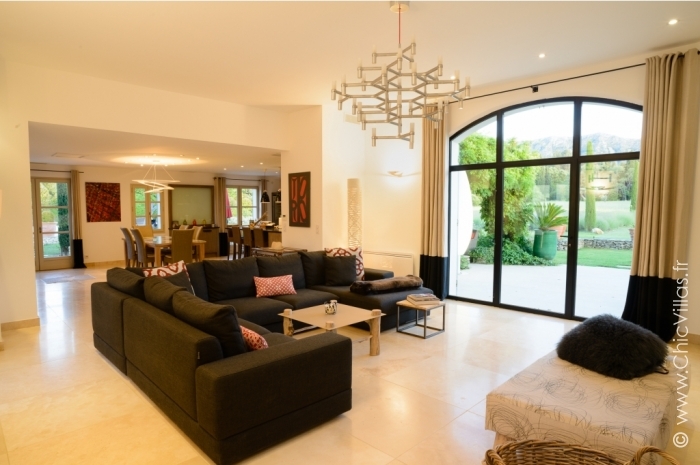 - Spacious 100 m² living area comprising a lounge with a fireplace, dining room, and kitchen with a Lacanche range cooker. 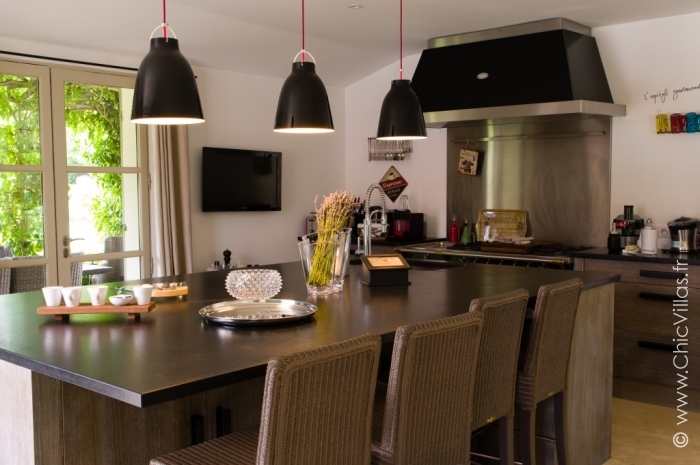 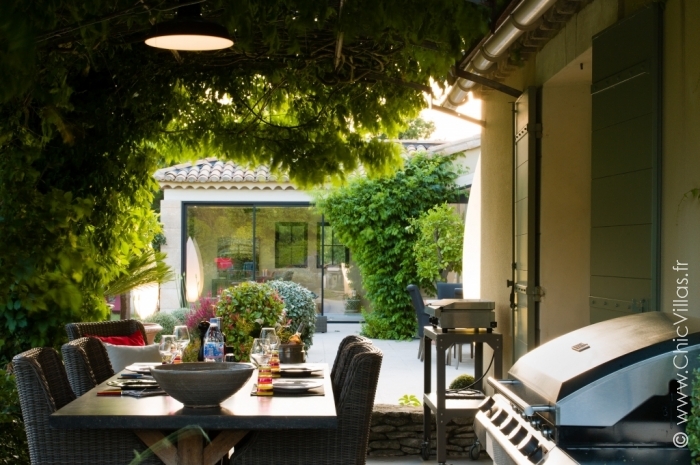 The kitchen opens out onto a pergola with an outdoor dining area with a plancha and a barbecue. 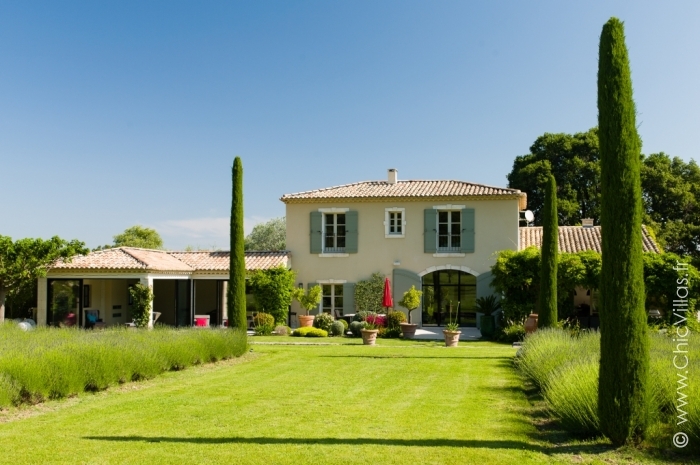 - Spacious grounds (1.2 ha) in peaceful surroundings. 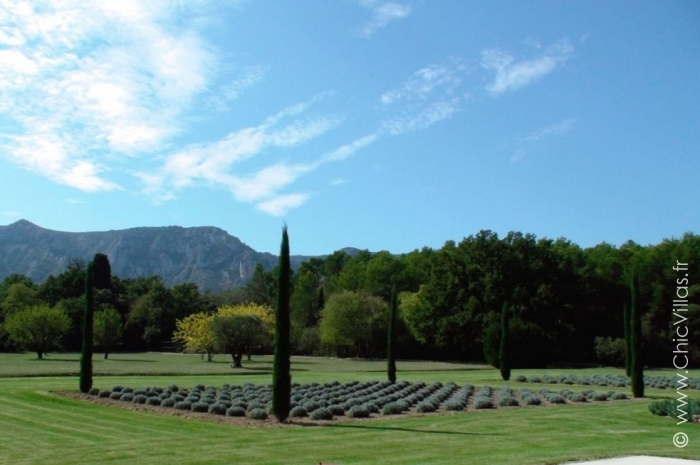 Parking available for several cars.